Originally founded in 1970, Dr. Whitmore started the Champions Veterinary Hosptial and moved the practice from its location on FM 1960, to its current home on July 4th, 1986. A proud Aggie graduate from the Texas A&M College of Veterinary Medicine in 1970, Dr. Whitmore is an active member of the Letterman's Association at his alma mater. He enjoys passing his free time on the regional golf courses, fishing from his kayak,and spending time with his 4 children and beautiful wife Debbie. Anaccomplished ultrasonographer and endoscopist, Dr. Whitmore adds years of experience and talent to our practice. A 1976 graduate of The Ohio State University College of Veterinary Medicine, Dr. Heimlich moved to Houston with his wife, Bonnie, in the same year. Prior to vet school, Dr. Heimlich participated in the Peace Corps, stationed in the South Pacific. Dr. Heimlich began working at the Stuebner Airline Veterinary Hospital in 1978. Professional interests include internal medicine and abdominal surgery. An avid fisherman, he can be found many weekends along the Texas Gulf Coast sporting his rod and reel. 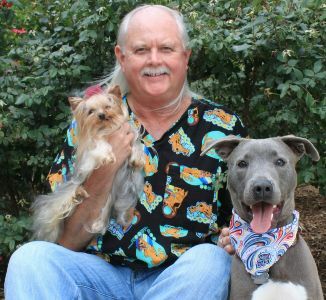 A 1981 graduate of Texas A&M College of Veterinary Medicine, Dr. Schmitt has spent his career with the Stuebner Airline Veterinary Hospital, originally as a kennel assistant under Dr. Heimlich. He has done extensive work with poodle groups in the north Houston community, and receives referrals from neighboring veterinary practices for several delicate feline surgical procedures. 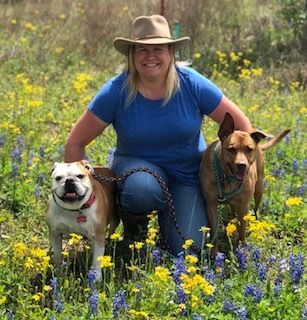 Dr. Schmitt has many passions outside of the veterinary profession including weekend rides on his Harley Davidson as well as cool evenings spent with family and friends.